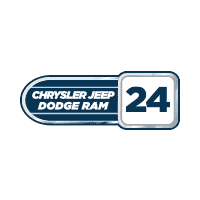 Welcome to the Chrysler Jeep Dodge Ram (CJDR) 24 Financing Department! We understand that when you set out to buy a new car, obtaining the right financing can be the most stressful part of the process. We want you to know that we’re eager to help you find the best possible financing for your car, whether it’s a loan or a lease, a new car or pre-owned. For over 40 years, we’ve been a leading full-service auto financing dealership that Brockton, Stoughton, and Randolph residents can count on. We want you to be the next to achieve 100% satisfaction with the deal you get at our business. You don’t need to have perfect credit to apply for an auto loan. If you have poor or no credit, we can still work to help you out. We have strong relationships with local and regional lenders and are dedicated to helping you find the best interest rates and financing company relationship to match your car buying and budgetary needs. If you have bad credit, or are unsure of your credit score, check out the many resources we offer online for customers to estimate their monthly payment, to apply for bad credit, to understand what a good credit score is, and the ways in which you may be unintentionally reducing your credit score. We value our customers and want to help them in all aspects of their finances, not just getting behind the wheel of a car. We also offer an online loan calculator to get an instant estimated rate before you apply. For some people, leasing a car is a better option than buying. If you don’t drive often, have a great driving record, and are easy on your car, a lease can be a great way to go. We can help you get into a fantastic lease deal that’ll save money on your monthly payments and enable you to easily slide into a new vehicle at the end of your lease term, or to buy out your lease if you find you want to keep the car. If you’re looking for a more standard purchase, we’re there to help with that as well. Ask about our current deals and special incentives that can save you money and potentially get you a lower monthly payment. We’re out to offer the most competitive financing possible for your situation, and get you behind the wheel in style. Our commitment to being available to all our customers as easily as possible means we offer a number of ways to apply for financing. You can give us a call or stop into our showroom to ask about financing your next new or pre-owned vehicle, or you can fill out our easy online finance application and we’ll contact you! Finance with CJDR 24 Today! We value your privacy above all else, and our commitment to you means we’ll never share or rent your information with any third party without your expressed consent. If you’d like more information about financing a car in Brockton, Randolph, or Stoughton, get in touch with us today!